Funding is notoriously a reason many parents can't send their children to summer camps. Sometimes the cost is just too much. For parents of children on the autistic spectrum, cost is hardly the largest concern. They need to know their child has a safe place to have fun and not feel like the odd one out. For many children in Oregon, that place is Camp Odakoda. Director of ASD Oregon and Camp Odakoda Misti Moxley started the camp eight years ago with her son — and children like him — in mind. She wanted to create a summer camp experience for children who might otherwise not have one. In an effort to further that mission, volunteers like Tracy Brunkhorst host the It's My Ability 5K in Boring Station Trailhead Park, 28008 Keller Road, Boring. This year's race is set for 9 a.m. Saturday, Sept. 1. Brunkhorst describes the event as the "red carpet" 5K, since each racer will receive a bib, tech tee, finisher medal and mystery swag bag. Those who plan to be out of town the day of the event, but wish to still take part can participate via a virtual option. Brunkhorst refers to it as the "5K Your Way." Registration fees are the same, but for the virtual race, you could clock your Labor Day-weekend shopping spree or hike with the family and simply email in your time for consideration. 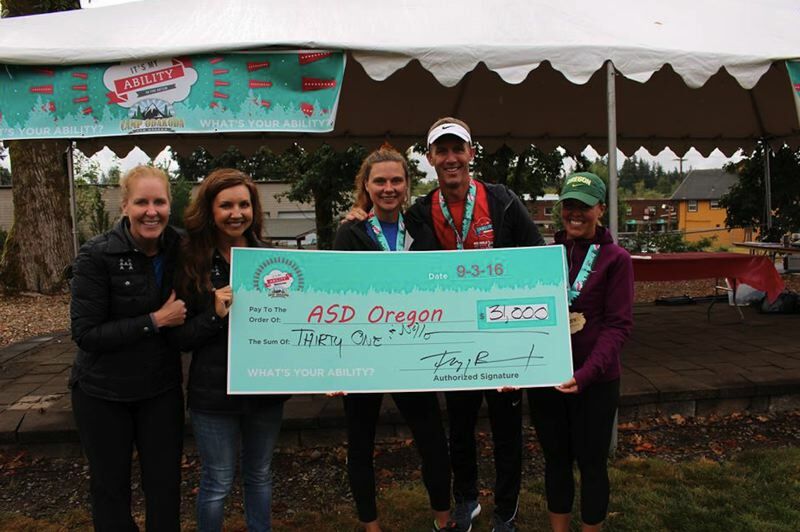 ASD Oregon, which operates Camp Odakoda, along with Dr. Hardin of Harmony Orthodontics and the Doernbecher Foundation have created an endowment to fund the camp into the future. To do so, the group aims to raise $500,000 over the next four years. Last year the effort reached the $100,000 goal. Medals will be awarded in every age group for first, second and third place finishers, and overall winners. Hardin has sponsored the 5K since the beginning, and this year is offering a grand prize of a full, comprehensive orthodontic treatment, valued at $7,000. The only stipulation is that you must be present to win. Participation costs $40 for adults and $25 for children. Racers interested in registering as a team of 10 can receive a $5 discount per member. Registration is available online at runsignup.com/Race/OR/Boring/ItsMyAbility5KforAutism.